Our Safety Netting & Edge Protection division provides a comprehensive, safe working environment during the intricate and challenging work we undertake every day. 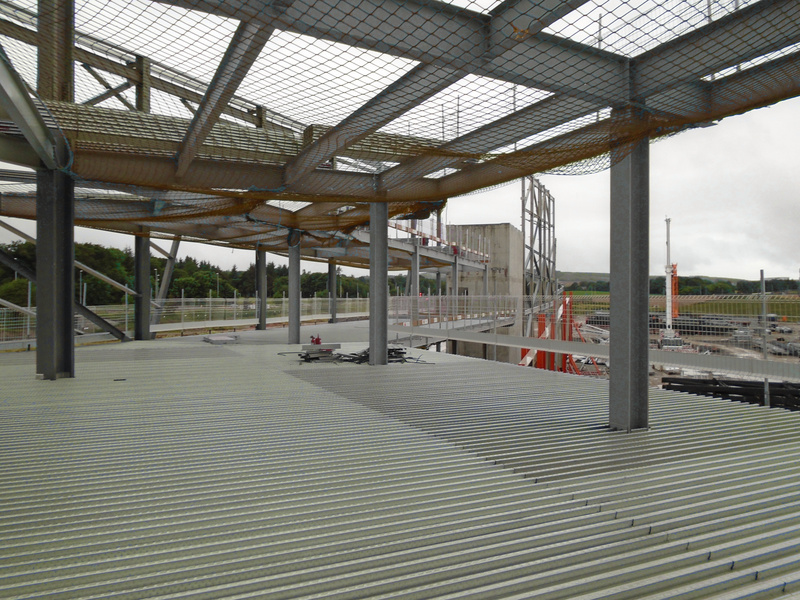 Our vast experience and focus on safety allows us to provide maximum protection throughout our projects with solutions such as safety netting, roof edge protection, stair access towers, bird prevention, mansafe lifelines and permanent barriers. 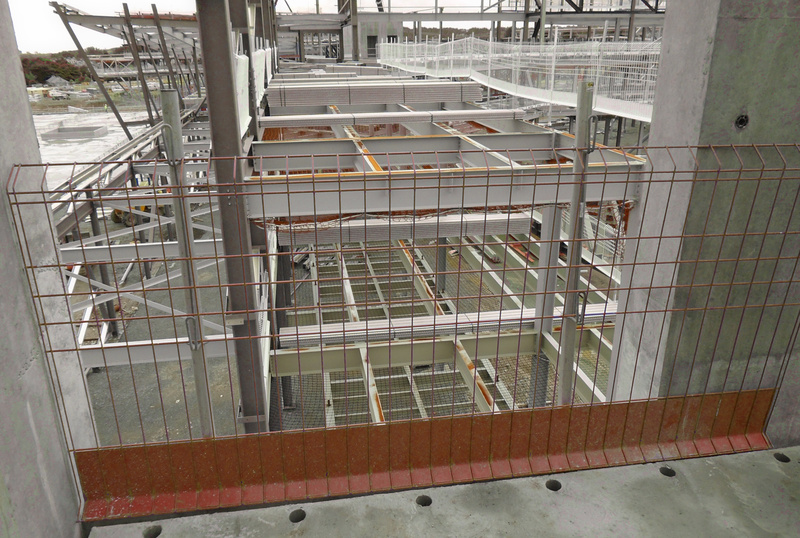 As the industry continually strives for better on-site safety, more and more contractors choose the services of our Safety Netting & Edge Protection Division. Falls from height are one of the main hazards associated with the construction industry. Operatives are exposed daily to leading and open edges, and require protection. Safety netting is one of the best solutions available, enabling operatives to work unencumbered by safety lines and harnesses. Our safety netting is manufactured in accordance with BS EB 1263-1. All of our safety netting riggers are FASET qualified at NVQ level, hold IPAF and CSCS skilled operative cards – allowing our work to comply with the strict standards of BS EN1263-2 and BS 8411. 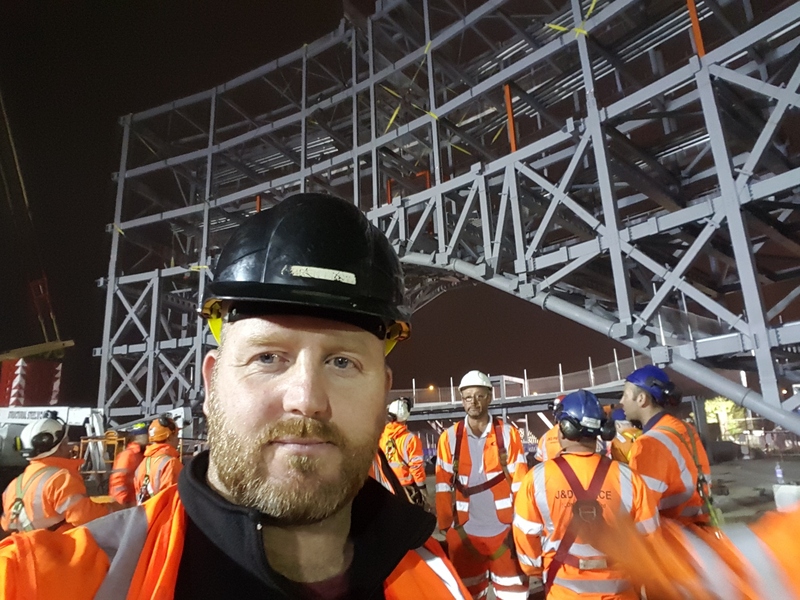 Our operatives are fully trained and certified in CombiSafe edge protection systems, as well as traditional tubing and fitting style edge protection – working in compliance with EN 13374. 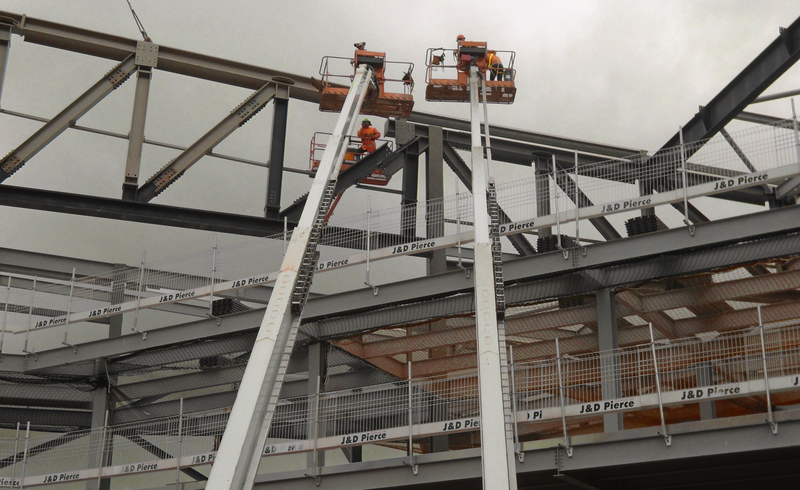 With fully certified stair access installers among the team, J & D Pierce provide a comprehensive package of protective measures for working at height legislation. We provide full-design, supply and installation of mansafe lifeline systems, including annual inspection and certification services. The mansafe system can be configured either as a fall arrest, or fall restraint system. J & D Pierce install mansafe systems both during installation of a new roof, or to existing roofs. To protect against leading and open edges, J & D Pierce provide a complete design and installation package of permanent barrier systems. These are either counter balanced, or affixed permanently to a structure. Our experienced installers provide bird control solutions to protect areas against nesting and fouling. Bird nets are one of the most effective solutions to pest problems at construction sites. If installed properly by an experienced, qualified team, they can provide 100% protection..
Post, wire and spike systems are effective ways to prevent birds perching on ridges and ledges.